Martha Garcia, Colfax Record Editor, wrote Engineers in training at Colfax High on May 24 about the Weimar Hills students’ experience building Sierra College CACT Tech-Explorer catapults. From the article: “Teachers and administrators hope a recent visit to Colfax High School will catapult Weimar Hills Elementary School students into technical careers. 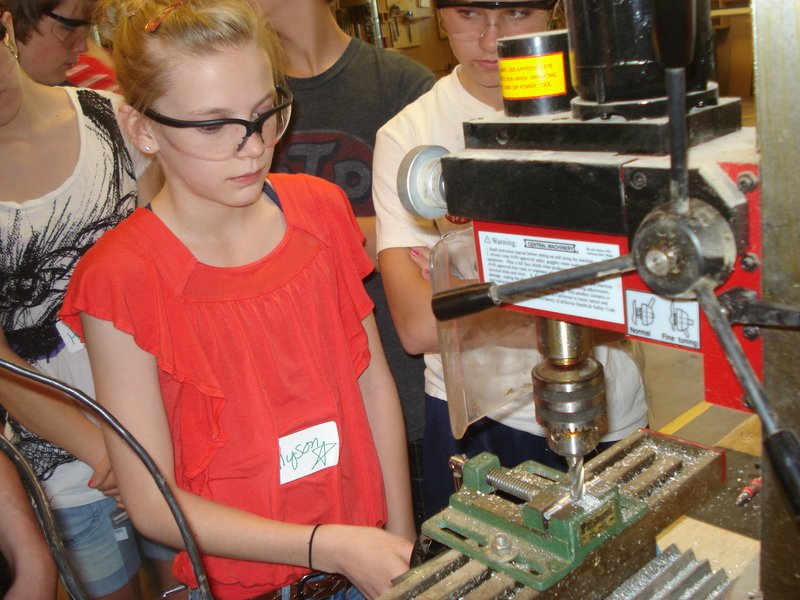 On May 15, the eighth-graders were introduced to design, engineering and manufacturing concepts at the Tech-Explorer event in the classroom of Jonathan Schwartz, Colfax High math and pre-engineering teacher. 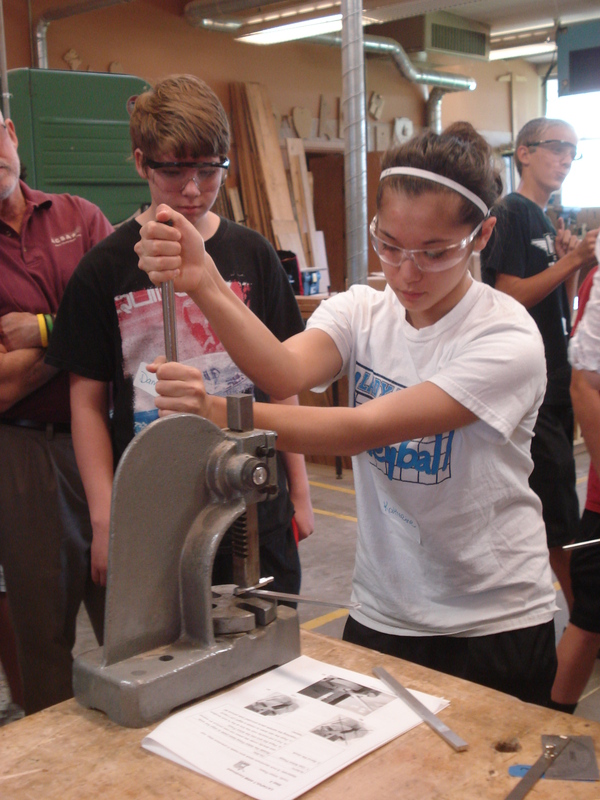 Students used lathes, mills and other power and hand tools to build and assemble catapults. The event was made possible through a Science, Technology, Engineering & Math (STEM) Collaborative Grant from Sierra College. The program not only introduces students to Colfax High, it also aims to make them aware of opportunities in high-paid local careers and education paths at Sierra College in mechatronics, engineering, welding, energy technology and drafting and engineering support. PBL World!, a Project Based Learning conference to be held June 18-22, 2012, will bring 400 teachers together to share ideas, listen to keynote speakers, and attend workshops and coaching sessions. Visit www.pblworld.org for more information. The Buck Institute for Education (BIE) interviewed Telannia Norfar, a math teacher using Project Based Learning extensively. The interview focused on benefits, resistance, bridging subjects, and more that a teacher considering Project Based Learning should consider. Read the brief interview here. She also hosted a half hour webinar discussing the creation of Project Based Learning projects. Click here to watch the webinar. The Regional Center for Advanced Manufacturing in Tennessee (manufacturingfuture.net) adapted the Sierra College Tech-Explorer catapult project to use at an Advanced Manufacturing Camp for 8-9th graders. The students also do interesting science experiments and visit local manufacturers. Watch the movie and learn more at http://manufacturingfuture.net/programs/k-12-programs.php. 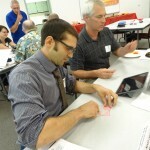 On October 20, 2011, teachers who are piloting Fraction Contraption (www.fractioncontraption.com) through the Sierra College STEM Collaborative and National Science Foundation grants met to debrief on their experience, discuss teaching methods and learn a new game also developed by Jono Schwartz, Fence the Yard. With hands-on workshops such as “Bone Detectives,” “Build a Heart Monitor” and “Fun with Fishes,” Sacramento State’s Expanding Your Horizons conference encourages middle school girls to pursue education and careers in science, technology, engineering and mathematics (STEM). Watch movie from 2010. The conference for 6th to 8th grade girls will be held 9 a.m.-3:15 p.m. Saturday, Oct. 8. Online registration is now open. The cost is $25 and includes lunch, a career demonstration and exposition fair in addition to the workshops. This year’s keynote speaker is Michele Wong, president and CEO of Synergex International Corp., an internationally recognized software manufacturer. “Our regional EYH conference continues to provide an invaluable and exciting educational experience for these young women,” says Program Coordinator Sharon Puricelli. There are also workshops for parents attending the conference with their children. 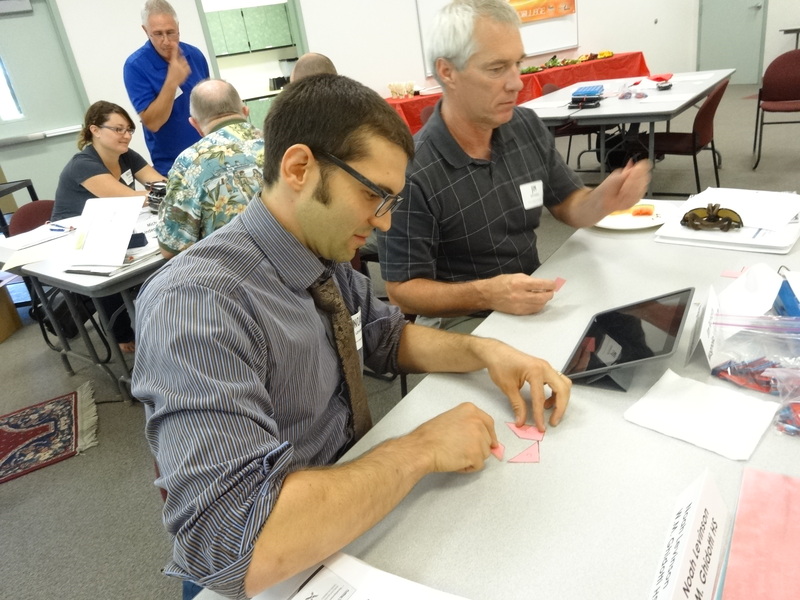 The adults’ topics will focus on strategies and programs available to help their children pursue a college degree and motivate them to take science and mathematics courses. Registration is $25 and includes lunch. The program is sponsored by Sacramento State’s Center for STEM Excellence and College of Continuing Education, AT&T and the Women of AT&T. The conference is limited to 340 students and typically sells out early. To register and get more information, visit www.cce.csus.edu/conferences/eyh/eyh11/index.htm .